During the early 1600s, whites and free blacks coexisted somewhat peacefully on the Eastern Shore of Virginia. Liberty and freedom for white and free black colonists in this era were based on the ownership of property. A free black man’s economic status included his possession of land, livestock, and slaves and determined his interactions with white neighbors and businessmen. Other than the problem of runaway slaves and indentured servants, whites and free blacks interacted without discrimination through trading, selling land, and appealing to the courts. For a brief period of early colonial-American history, friendships, business associations, and consensual sexual relationships provide evidence of the relatively amiable reciprocities and expected egalitarianism among whites and free blacks. Nevertheless, white colonists changed their perspective of African Americans after the decreased use of indentured servants, the dramatic influx of slave importation, the illegal use of black headrights, and Nathaniel Bacon’s Rebellion. 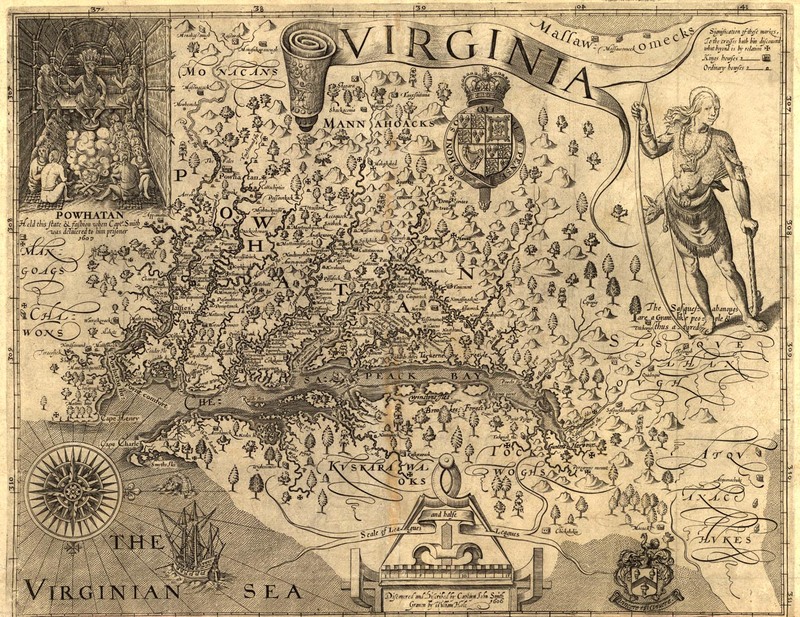 Unlike most Anglo-Americans, seventeenth-century Virginians did not adopt slavery because they were fundamentally racist; however, they invented a ideology of racism as a means of justifying hierarchical societies and slavery. Before racism became widely accepted among white colonists, free blacks were often respected members of Virginian society due to their ownership of land. Because free blacks created their own communities on their own land, the family was necessary for providing “an opportunity to become fully human”; as a result, free black families and communities were allowed greater safety and dreams of the future. Property made all the difference. If a man controlled his own land, then he could govern himself, thus confirming his individuality and providing legal and social identity. Owning private property showed that a man was a citizen who could participate in voting and trading. In Virginia, an individual’s social status and personal wealth were interconnected, since economic success became possible through land ownership, and over time, competing against the elite planters became more difficult for both poor whites and free blacks. Land ownership equaled liberty, and when African Americans lost the accessibility to owning land, they also lost the rights of free citizens. Free blacks during the early 1600s, nonetheless, could never have imagined an inimical future where their great-grandchildren would become slaves and the buying land would be prevented. The dire need for labor in the New World, which evolved from the widespread use of indentured servants to the enslavement of Africans, helped lead the eventual acceptance of racism. Flattered away by great promises, many English citizens were recruited by propagandists who erroneously depicted the colonies as “a land of milk and honey” where “food shall drop into their mouths.” The property owner would pay for the passage of an English colonizer to come to the New World. In return, the indentured servants would work voluntarily between five and seven years for their new masters. Since indentured servants were considered valuable property, they lacked many personal rights or freedoms, and they suffered similar experiences to slaves, such as being bought, sold, beaten, or subjected to sexual exploitation. However, indentured servants could look forward to their freedom at the end of their term of service, unlike slaves whose “condition became perpetual.” Because of the great demand for labor, the colonists were more than willing to hand their money over, even if that meant paying for the passage of indentured servants and eventually, the purchase of slaves. Ultimately, great Virginian planters used indentured servants as “an initial solution to an acute problem of obtaining a labor supply.” Nevertheless, the great planters turned to slavery in order to fulfill their needed requirement for able working hands. However, at the end of the seventeenth century, the relationship between whites and blacks eventually evolved into racial prejudices due to this mass importation of slaves directly from Africa. The transition from servants to slaves transpired between 1680 and 1720, occurring mainly in the Chesapeake colonies. This immigration transformation impacted the population growth of African slaves, which altered social and economic relationships. Second, a black majority in the colonies emerged after the large immigration of Africans from their native lands. This made white colonists, particularly the local gentry, highly anxious, since they constantly feared amalgamation and especially rebellion. They decided to create laws and strengthen pre-existing legal codes in order to control the growing slave population. Planters went so far as to restrict the legal rights of blacks, which included their right to buy property. As a result, Virginian colonists began to validate slavery in their minds in order to justify the specific slave laws. The Virginian elite limited the growth of both poor farmers and indentured servants and enabled their own expansion of land and wealth by unlawfully using black headrights. 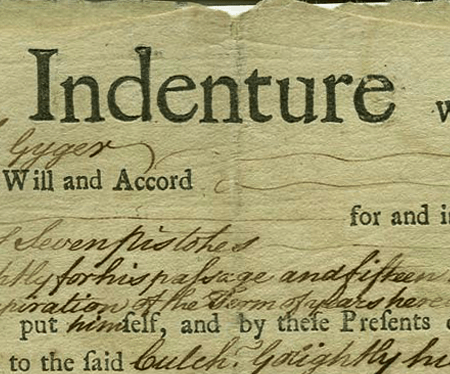 At the end of the designated time of service, indentured servants were entitled to freedom dues, such as clothes and other fundamental goods, in order to help provide an independent beginning. Even though many indentured servants assumed free land would be included when they signed their legal contracts, indentured servants, in actuality, did not receive land because the headright went to the person who paid for the indentured servant’s passage to America. However, the great Virginian planters did not merely use the headrights of indentured servants; these men illegally used the headrights of African Americans, as well. When the trade of indentured servants started to decline, many great planters used black headrights so they could add land to their massive estates or lease the land to poor farmers. Two main consequences resulted from the elite’s use of black headright system: first, the Virginian elite acquired huge estates, which lessoned the amount of land readily available for poor farmers, and second, slavery became unquestionably permanent. As a result, the lower class, who grew increasingly angry about the unavailability of land and the policies of corrupt colonial leaders, eventually decided rebellion was the best option to try to secure their rights of possessing land. 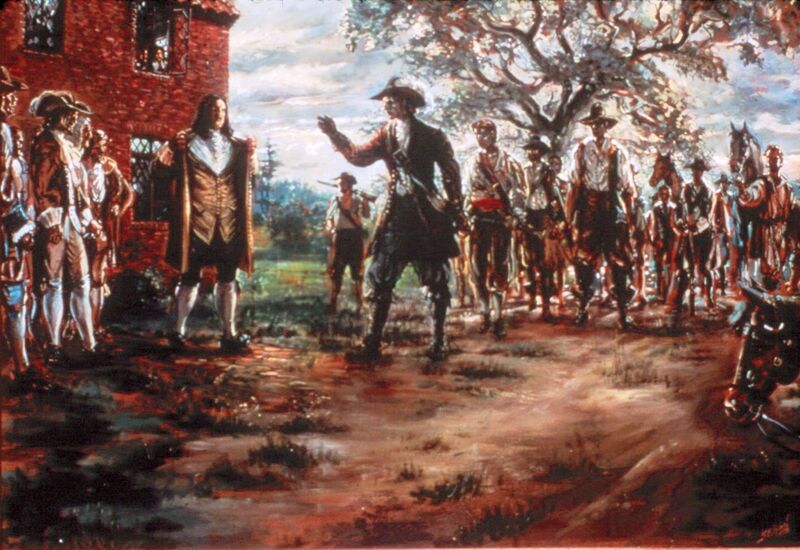 One example of a colonial-American rebellion is Nathaniel Bacon’s Rebellion, which reveals the frustrations and fears of Virginian’s lower class. To many poor colonial farmers, Governor Berkeley was seen as a friend to the Indians, since he would not permit anyone to hurt the Indians in order for trade relations to develop; Berkely’s stance, nevertheless, interfered with the colonists’ hunger for more land. While the poor colonists could not move onto the Indian’s lands, the wealthy continued to steal land by using black headrights. The public poll tax, which burdened the poor, created huge discontent among colonists. Nathaniel Bacon was a successful planter who desired change and despised Berkeley’s unjust dominion. Bacon believed that the Indians should be completely removed from Virginia, taxes should be reduced, and the ruling elite should be stopped. Supported by “small farmers, landless men, indentured servants, and even some Africans,” Bacon decided revolution was the best choice. Blacks and whites rose together in 1676 with Nathaniel Bacon to rebel against Governor Berkeley in Jamestown, Virginia. After burning Jamestown to the ground, Bacon, who died shortly thereafter, ruled Virginia for a brief time. When England warships arrived and restored order, they ended the rebellion of the lower class, oppressing them and ensuring more land to the ruling elite. Essentially, poor colonists, both white and black, held recalcitrant attitudes towards the elites’ suppressive hand in gathering high taxation without proper usage of the funding to help those less fortunate. Since these complaints were not included in the commissioners’ reports, the poor Virginian farmers’ voices continued to be suppressed, even after rebellion. Fearing another uprising, the Virginian politicians reduced taxes, allowed small farmers to expand upon Indian land, and hastened the replacement of indentured servants with slaves, who had even less freedoms to express dissent than poor farmers did. As Anthony S. Parent, Jr., associate professor of history at Wake Forest University, stated, “Black and white laborers ran away together, muddied racial lines by consensual sexual relationships, and were comrades-in-arms in Bacon’s Rebellion.” Free African Americans could not have anticipated the fall of their commercial interactions among white colonists and the diminution of their free black community. After the rebellion lead by Nathaniel Bacon, the Virginian elite feared the union of poor African Americans and poor white laborers rebelling in order to overthrow the privileged few. In the end, “the expanding plantation system in Virginia,” which resulted from the fraudulent use of black headrights to accumulate land and the huge influx of slave importation, eventually “undermined the position of free [black] planters.” Unequal hierarchies, which ranged from the wealthy plantation owner and culminated with the tobacco-harvesting slave, definitively shaped Virginian society. Racism became a conscious decision of the Virginian elites for their great wealth and power to continue unthreatened. 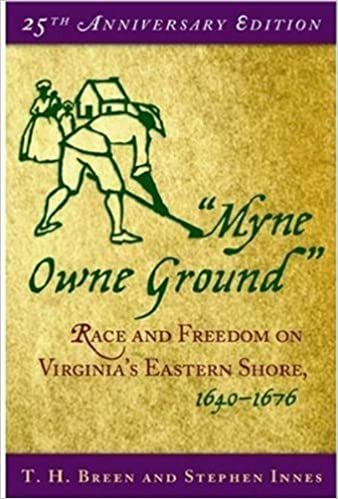 T. H. Breen and Stephen Innes, “Myne Owne Ground”: Race and Freedom on Virginia’s Eastern Shore, 1640-1676 (New York: Oxford University Press, 2005), 83. Anthony S. Parent, Jr., Foul Means: The Formation of a Slave Society in Virginia, 1600-1740 (Chapel Hill, The University of North Carolina Press, 2003), 43. Abbot Emerson Smith, “New Light on some of America’s ‘First’ Families,” The Journal of Economic History 2 (1942), 40. David W. Galenson, “The Rise and Fall of Indentured Servitude in the Americas: An Economic Analysis,” The Journal of Economic History 44 (1984), 9. Aaron S. Fogleman, “From Slaves, Convicts, and Servants to Free Passengers: The Transformation of Immigration in the Era of American Revolution,” The Journal of American History 85, no. 1 (1998), 48. Eric Foner, Give Me Liberty! (New York: W.W. Norton & Company, 2012), 102. Thomas J. Wertenbaker, The Shaping of Colonial Virginia (New York: Russell & Russell, 1958), 139. Edmund S. Morgan, American Slavery —American Freedom (New York: W. W. Norton & Company, Inc., 1975), 272. Brent Tarter, “Bacon’s Rebellion, the Grievances of the People, and the Political Culture of Seventeenth-Century Virginia,” Virginia Magazine Of History & Biography 119, no. 1 (2011): 1- 41. Academic Search Premier, EBSCOhost (accessed March 16, 2012). This is very interesting and well written! very good post =) I was wondering would you be interested in having a guest poster on your blog? or being a guest poster on my blog? any interest in either of those?